Cathy Smith was a groupie who partied with the Stones, The Band, and various Hollywood stars. She was also the woman who gave John Belushi a fatal overdose. 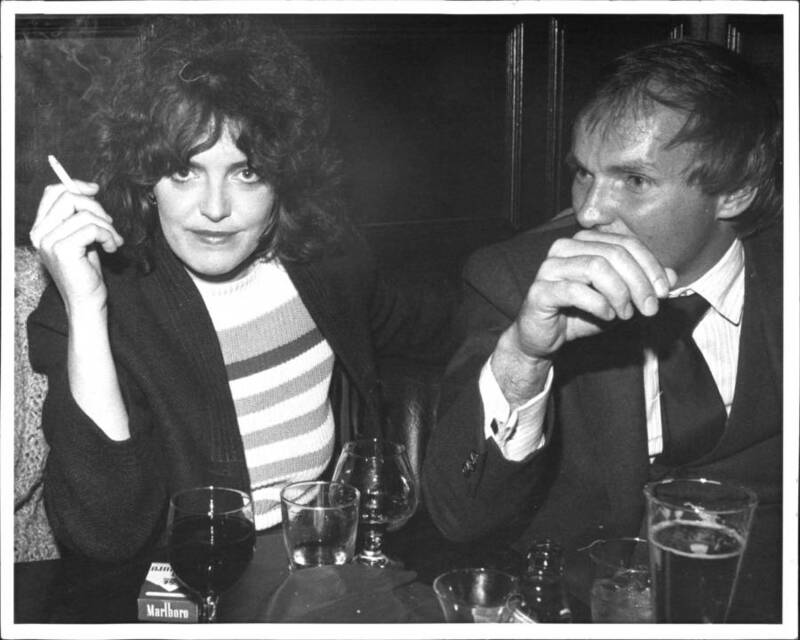 Lenore Davis/New York Post Archives /(c) NYP Holdings, Inc. via Getty Images Cathy Smith and her lawyer at the Plaza Hotel bar in New York City. On March 5, 1982, Cathy Smith was arrested after she attempted to drive the wrong way out the one-way exit of Los Angeles’ Chateau Marmont Hotel in John Belushi’s rented red Mercedes. Before the day was up, Smith would be national news. Not because of her traffic violation, but because John Belushi was lying 100 feet away from her, dead on the floor of his hotel room. Though the police called it a “death from natural causes,” few believed it. As the media guessed, the comedy star had died from a drug overdose – specifically speedball. 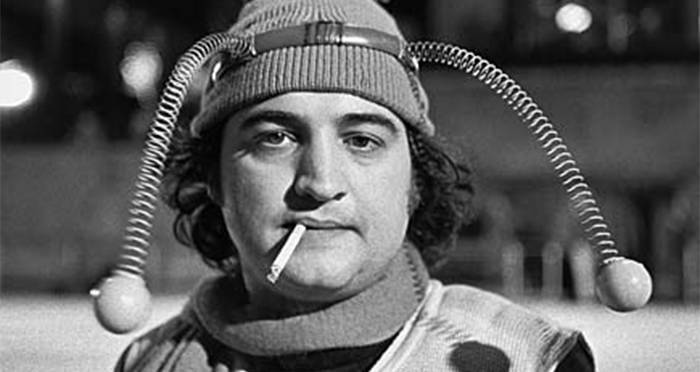 It would be a few weeks before Smith was actually connected to the death of John Belushi. Several other big names, such as Robert De Niro and Robin Williams were questioned during the investigation, though they vehemently denied being involved. The police even cleared Smith at first, claiming there was evidence she had drug paraphernalia on her, but there was no evidence she had used it with Belushi. Nonetheless, the public was enthralled with the “Belushi Mystery Woman.” Imaginations ran wild, dreaming up all kinds of salacious scenarios. As much as everyone wanted to know how Belushi died, they also wanted to know who Smith was. Cathy Smith was many things. Though she made headlines for the Belushi case, her reputation as a groupie went back almost 20 years before she even met him. Erin Combs/Toronto Star via Getty ImagesCathy Smith leaves court, after finding out whether or not she’d be extradited to California for further prosecution. She later turned herself over to the LAPD. In the mid 1970s, Smith met Canadian singer-songwriter Gordon Lightfoot. Though Lightfoot was married, the two engaged in a three-year affair, which was tumultuous and at times violent. One night after drinking too much, Lightfoot struck Smith, breaking her cheekbone. He claimed his rage stemmed from his jealousy of the other men that hit on Smith during their affair. He even fired two musicians on his tour for flirting with her. When her affair with Lightfoot ended, Cathy Smith traveled down south, to Hollywood, Calif. where she became a backup singer for Hoyt Axton. Through Axton she was introduced to heroin, and through heroin she was introduced to the Rolling Stones. For several years, from the mid to late 70s, Smith acted as a groupie/drug dealer for Keith Richards and Mick Jagger. Soon she had turned all of her attention to drug dealing, following musicians around in order to score and sell drugs. Eventually, however, she became more interested in scoring, and ended up losing cash because she’d shoot up what she had before she could sell it. One night in 1982, Smith got a call from John Belushi. She had met him once before when The Band was the musical guest on Saturday Night Live, where Belushi was a cast member. He was looking to score drugs. For years, Belushi had been battling a cocaine addiction. The night that he called Smith, however, he wanted cocaine and heroin. On the night of March 5, Smith met up with Belushi at his Chateau Marmont bungalow on Sunset Strip where she injected Belushi with a speedball, as Belushi was afraid of needles. Then, as he overdosed (it’s unclear whether she knew he was going to die or not) she left in his rented car and tried to flee the scene. 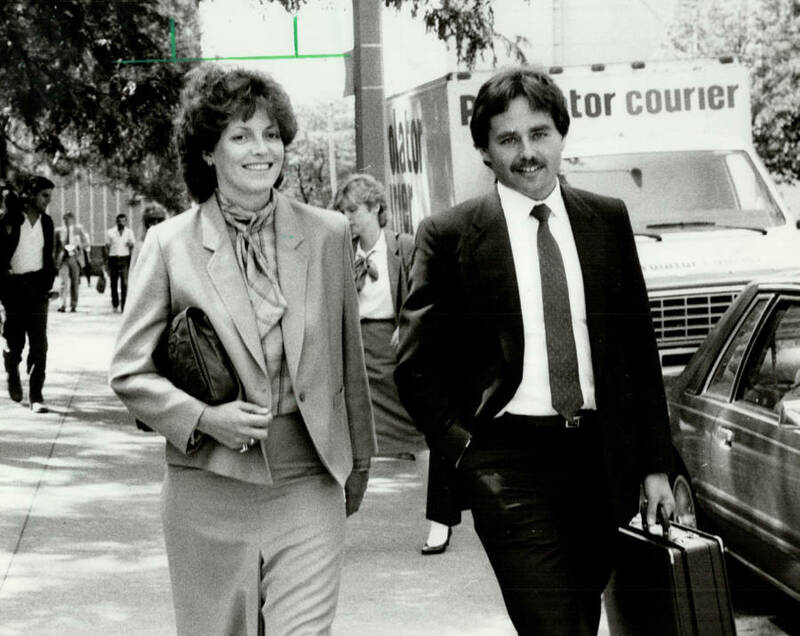 A few weeks after Belushi’s death, Cathy Smith moved to St. Louis, attempting to hide from the press. Then, she moved back to Los Angeles, then to New York, then finally back to her native Toronto. While she was running, the LAPD filed charges against her in the death of John Belushi, as well as 13 counts of administering cocaine and heroin. In June of 1986, she turned herself into the police, accepting a plea bargain and admitting to involuntary manslaughter and several drug charges. She ended up serving 15 months in prison and was deported to Canada. Today, she works as a legal secretary and speaks to teenagers about the dangers of drugs. Next, check out Cynthia Plaster Caster, the rock groupie who immortalizes famous rockstars’ favorite assets. Then, check out Sable Starr’s wild life as a teenaged groupie.